Teaching your child how to roller skate can be one of the most rewarding times of parenthood. They will develop confidence in themselves while having fun! Teach your child how to skate by following these three easy steps: wear the right gear, teach the roller skating basics, and take advantage of our skate lessons. Learn all about your Odenton skating rink! Roller skating is extremely fun, but even the pro’s have taken some falls. In order to reduce the amount of bruises and scrapes, make sure that your child wears a helmet, wrist guard, and knee and elbow pads. (High socks are important too so your little one doesn’t get blisters). With this safety gear, there will be less tears and more enjoyment! 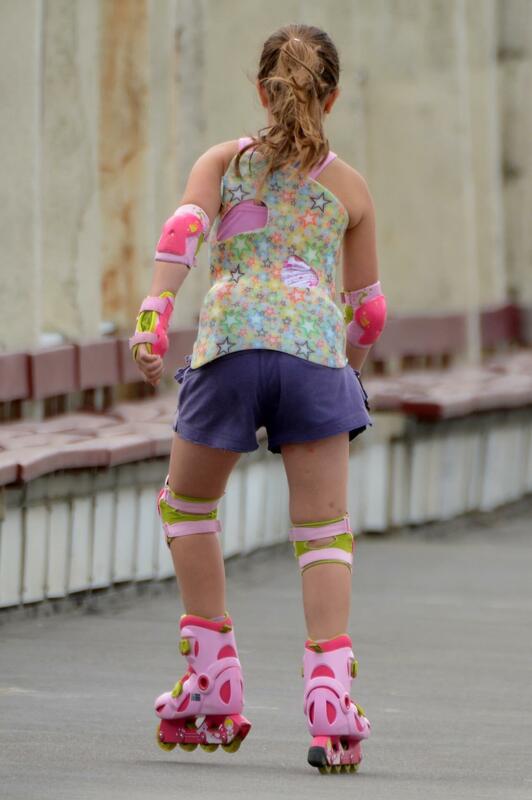 Roller skating is a lot like walking … except on wheels! Teaching your child the basics of roller skating will increase his confidence. First, let your child practice walking in his skates on grass or carpet until he can maintain balance. Then, show him how to roll in his skates while holding your hand. When he feels confident in rolling, teach him to pick up his feet one at a time and step forward in a diagonal direction and propel himself forward. He will be skating around the rink in no time! We provide skate classes for only $5! This cost includes a quad skate rental and a full hour of lessons. With this class, you will skate more confidently and enjoy it much more. Not sure if your skills are good enough for our skate class? Don’t worry about that! Our skate class is open for all ages and abilities. Bring the whole family to the class!